Century Ambulance Service Inc. (“Century Ambulance”) of Jacksonville, Florida allegedly defrauded Medicare and Medicaid out of $5 million by submitting claims for ambulance services that were unnecessary or inflated. With the help of local hospitals, Century Ambulance allegedly falsified documents and records on a daily basis regarding patients transported either to or from hospitals owned by Southern Baptist Hospital of Florida Inc., Memorial Medical Care Group Inc., Orange Park Medical Center Inc., and Shands Jacksonville Medical Center Inc. (now UF Health Jacksonville). Relator Shawn Pelletier, a former emergency medical technician (“EMT”) employed by Century Ambulance, claims that the conduct has occurred since at least 2005 in his amended complaint filed today under the federal False Claims Act and the Florida False Claims Act. Pelletier has been an EMT since 1998 and worked for Century Ambulance from 2004 through 2006. Century Ambulance is a provider of both emergency and non-emergency medical transport services. Medicare is a government health insurance program available to individuals that are 65 years or older as well as a number of disabled individuals. In general, those aged 65 years or older and receiving Social Security are eligible for Medicare Parts A and B. Medicare Part A covers most medically necessary in-patient hospital care, skilled nursing facility care, home healthcare, and hospice care. Alternatively, Medicare Part B covers most medically necessary outpatient hospital care, physician services, preventive care, durable medical equipment, laboratory tests, X-rays, mental healthcare, and certain home health and ambulance services. More specifically, Medicare Part B covers medically necessary ambulance services. It covers ambulance transfer from the point of origin to the closest hospital or skilled nursing facility that can provide requisite level and type of care. Medicare Part B will also cover trips from a hospital to a beneficiary’s home or skilled nursing facility and dialysis trips if required. 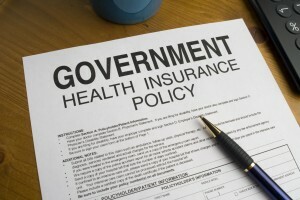 Both Medicare Parts A and B are administered directly by the federal government. Medicaid is a cooperative health insurance program jointly funded by the federal government and the States. State Medicaid plans are required to execute agreements with each provider rendering services under the plan. In order to qualify beneficiaries for ambulance transport eligible for reimbursement by Medicare or Medicaid, hospitals must provide a certificate of medical necessity signed by a nurse or doctor to the ambulance provider. In turn, this certificate is used as supporting documentation for the claim submitted by health care providers to Medicare or Florida Medicaid for payment. Century Ambulance and the local hospitals had a duty to document for those services and bill the government in a timely and accurate manner. The claims submitted by Century Ambulance were therefore accompanied by an express or implied certification that the transaction was fully compliant with federal and state statutes as well as any regulations and program rules. But beginning in 2005, Century Ambulance and the name hospitals allegedly omitted or misrepresented the medical conditions of beneficiaries on the certificate of medical necessity. This misrepresentation allowed the hospitals to transport a patient without incurring the corresponding cost for transportation and allowed Century Ambulance to bill Medicare or Medicaid for the cost of transportation at a higher reimbursement rate than was warranted. Century Ambulance also allegedly filed false claims using its “patient care reports” to reflect clinical characteristics that were not present and treatment that was never performed. The patient care reports are a standard form that Century Ambulance uses to record such patient information. During the period of the relator’s employment as an EMT with the company, paramedics and EMTs were required to electronically submit all patient care reports to billing supervisors. Mr. Pelletier is alleging that these patient care reports were routinely altered in order to claim reimbursement that would otherwise not be allowed. And in cases where reimbursement was allowed, if the information was reportedly correctly, the reimbursement would have been at a lower rate. Century Ambulance also allegedly falsified heart rate and blood oxygen readings for patients who did not require such monitoring, with many ambulances not even fitted out with the necessary equipment. Mr. Pelletier further cited an example where a patient was transported on a gurney in order to create the impression that ambulance transportation was necessary, despite that patient’s ability to be more efficiently and comfortably transported in a wheelchair van.